The Wave Gods have spoken. And with great power they’ve bestowed upon surfing’s only son the technology and means to make the world’s greatest artificial surf spot. 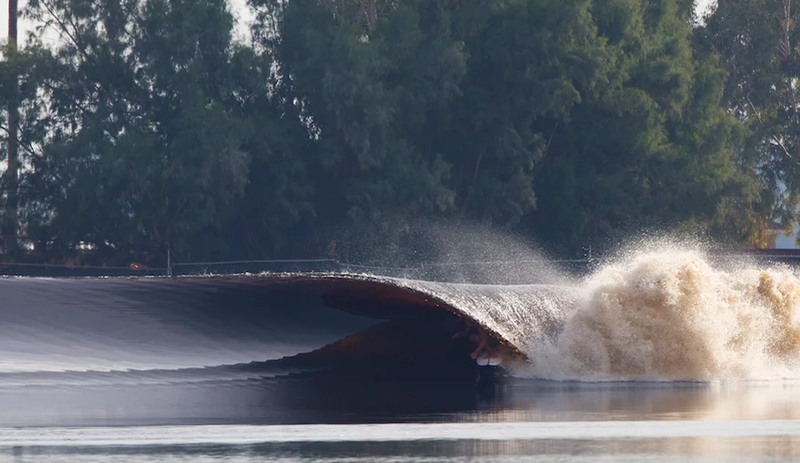 Like other incarnations before it, the Kelly Slater Wave Company aims to bring the joy of surfing to landlocked regions, while also creating an arena for progression. But there’s one key factor that sets this wave apart from all the rest – Kelly’s wave pool has a barrel. One of the main complaints surrounding the feverish wave pool debate is that the artificial rollers cannot stand up to the real thing (literally). Ocean waves barrel. Artificial ones do not. As the pinnacle maneuver of the sport, slotting oneself inside the tube is so addicting it’s like a drug for many surfers, seducing them to travel far and wide in search of new pitching crests of water. A new wave, a new high. Like different dance partners, each one moves in its own unique way. Not a drop of water out of place. Kelly Slater drives through perfection. But in the freshly released video for Kelly’s wave, it’s quite clear. He’s done the unthinkable and made a wave worthy of real-life proportions. On the very first wave ridden at the test facility, courtesy of course of Mr. Slater himself, the wave pitches perfectly and allows him to sit in a reeling vortex of water. It’s mind-bending. It looks like a mirage. It’s like some sort of voodoo witchcraft. And with that punchy lip, versus a crumbly wall of powdered sugar, the wave permits progression. Whereas on other artificial waves, surfers have to really work for it to take to the air, this one is different. With a steep face, Kelly’s wave provides the rider with enough speed for natural above-the-lip maneuvers. Just watch Kelly’s effortless air reverse. He might as well be looking to the heavens and screaming, “IT’S ALIVE!” Because basically Kelly’s recreated real life – he and his team are Victor Frankenstein and his wave pool is the mutant, natural-law-defying monster. Or as they would call it, it’s a Freak of Technology.